For some people, scars on their legs are like badges of honor. For others, however, scars on legs are not very attractive. Of course, one of the most effective ways to get rid of scars on your legs is laser treatment, but many people find that to be too expensive. Fortunately, there are other ways to effectively remove scars from your legs without breaking the bank. Apply vitamin E. Vitamin E has proven benefits from heart health to skin health. You can either take vitamin E orally or externally. If you choose to take it orally, it usually comes in doses measured at 400 international units. You also can use the gel caps and break them open and rub them directly on your scars, or you can use vitamin E cream. Take the vitamin E pill or rub the lotion on daily. You will start to notice visible changes within a few weeks if you follow the regimen faithfully. Use herbal remedies. Cucumber has been known to help remove scar tissue. Simply process the cucumber in a blender until it’s a paste-like consistency and apply to your scar and leave on overnight. Follow these steps for a few nights and you will see quite an improvement on the scars on your legs. Another great herbal treatment is aloe vera. 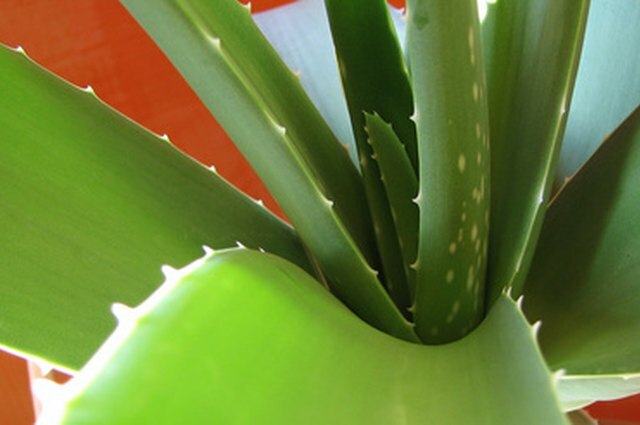 Aloe vera is great for residual scars because it acts as a bleaching agent. Over time after daily application, it helps scars on your legs slowly vanish. Rub Mederma on the scars. Mederma reduces the appearance and feel of the scar, and it’s even effective against stretch marks. The main ingredient in Mederma is onion extract, and it works to blend the scar with the surrounding skin. Just apply a thin coat of the gel to the scar on your leg three times a day for about eight weeks. Apply cocoa butter. Cocoa butter is just about the cheapest and easiest treatment for scars on your legs. You can find cocoa butter concentrate or in a creamy lotion form. To effectively remove scars on your legs, use cocoa butter concentrate several times a day. This tends to work better on newer scars than on older ones, but it is still somewhat effective on older scars. The best way to fade or rid yourself of scars on your legs is to treat the scar immediately. The longer you wait to treat it, the harder it will be to get rid of.